lower price, then a chain link fence is the best option for you! The chain link fence is one of our most popular fences because of its affordability, durability, transparency and quick installation. This is our most affordable alternative to the traditional cedar fence or iron fence. 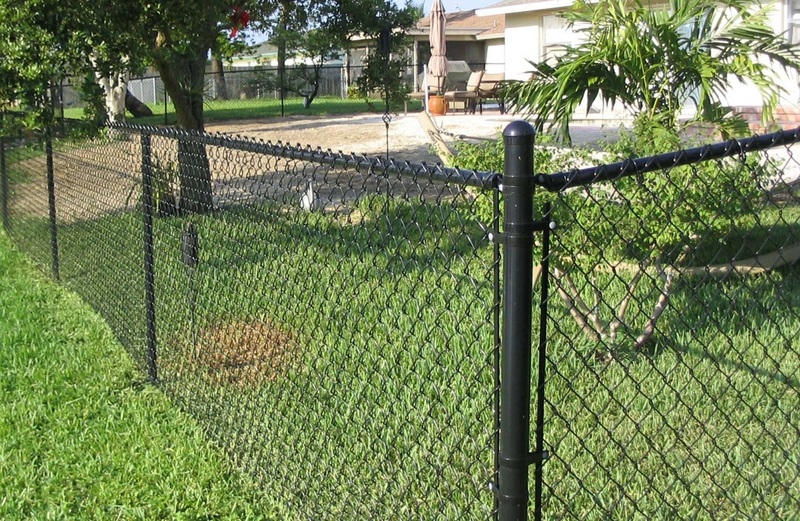 Because a chain link fence is almost transparent, it is popular for containing pets and keeping children visibly secure. The only question you will have to ask yourself is if you want a galvanized or color coated chain link fence? 1. Galvanized steel is extremely weather resistant, strong and makes our chain link extremely durable. With our ever changing weather, you do not have to worry about the lasting power of your fence. 2. Another option is a color coated chain link fence. The colors come in green or black vinyl. The coating simply gives an added layer of protects to the steel against inclement weather will giving a great looking feature to your outdoor life. The best aspect about having a chain link fence is once it is installed correctly, there will not be any ongoing maintenance. You can enjoy your nice looking fence for years to come and put your time where it is really deserved, enjoying the outdoors with your family. Ask us about the various gauges or thickness of the metal used in our chain link fence. Our knowledgeable and experience staff will help you in your decision making process. You can also fill out our free instant quote form and receive a coupon for instant savings. 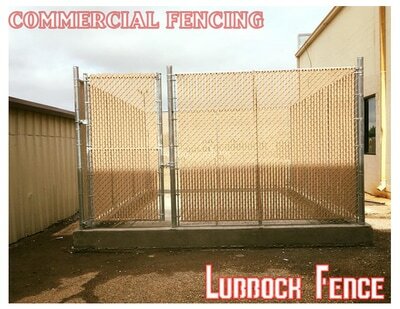 Let Lubbock Fence be your next fence contractor today.